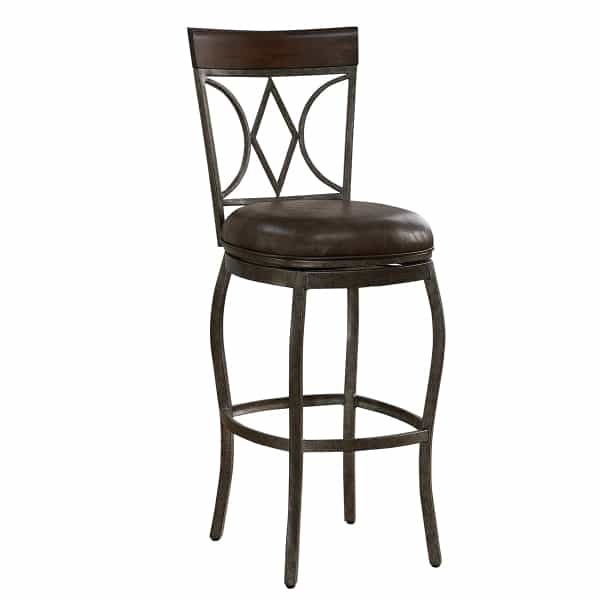 The Infinity Counter Stool has a tall supportive backrest, a 3’’ cushion, and a fully wrapping footrest. 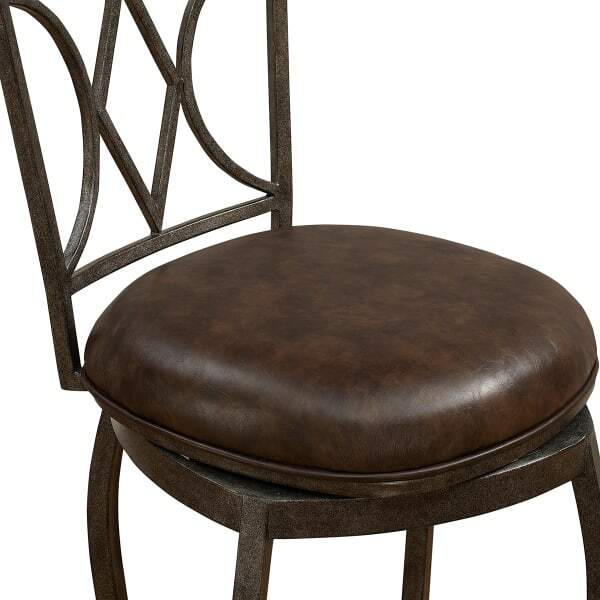 The backrest features a subtle, organic design for a simple design accent. The frame and cushion cover are both colored in a brown tint. The frame has a rustic, pewter-style character and the antique whiskey cushion cover is also textured for visual interest. The frame is made with metal that is put together with a uniweld construction. The uniweld form means that the entire chair is one piece, rather than many pieces held together with nuts and bolts. This distributes weight more easily and sets the chair up for a longer lifetime of use. And, the cushion cover is covered in bonded leather instead of traditional leather. The bonded leather upholstery is much easier to care for and clean. Dimensions 21.75" W x 21" D x 42.25"